For many, proper product marketing is an afterthought. Either the business is too focused on generating leads, or it feels that the existing marketing team can handle product launches. But product marketing is more than just launches. And much of the work simply can't be done alongside your other marketing projects. As part of the eFounders 'How to Scale' event series, Stephanie Bowker (Head of Marketing at Spendesk) and Roxana Siu-Calviac (VP Marketing at Shippeo), discussed the vital role of product marketing in fast-growing startups. 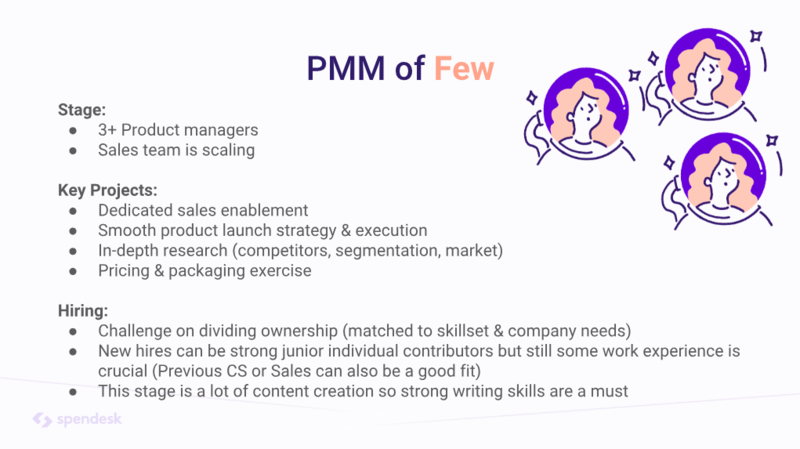 Learn how and when to scale your product marketing team, the right skillsets to hire at each stage of the team's growth, and how to structure for success. It may seem totally obvious to most readers what product marketing is for: it’s to market your products! Which is, of course, true. But product marketers wear a lot of different hats and their responsibilities are varied. These go anywhere from developing logos and official company branding, to buyer research and personas, to finding the right product pricing. But most often, we think of product marketing as focusing on launching campaigns. These are often for new products, or to get existing users to try out more features. And of course, they’re a valuable part of the marketing team. Perhaps more than their colleagues in content marketing, product marketers also need a closer eye on the details; to be more perfectionist. They’re responsible in part for the brand image, and poor wording or grainy images won’t help. Product marketers are the voice of the product itself. And it really matters that your product feels right, and speaks in the perfect voice. When should you hire your first product marketing manager? Most small companies will try to get by with product marketing as just another responsibility of the marketing team. Your content marketers and copywriters can probably figure out how to launch a product. But product and content marketing goals usually aren’t the same thing. And eventually you’re going to wish you had someone whose key goals include product launches, sales enablement, and speaking for the products themselves. So when is that point? The moment you need to convince your target audience to invest in your product. When you want people to pay real money for a product or service, you’ll want that product or service to feel right. It needs to have its own voice, and you need to understand even better what customers expect it to look and feel like. And at this point, you need someone whose main job is to worry about these things. Not a sprint for a content marketer to “figure it out”; not sitting with a product manager as they build their own launch programme. You need a product marketing manager. 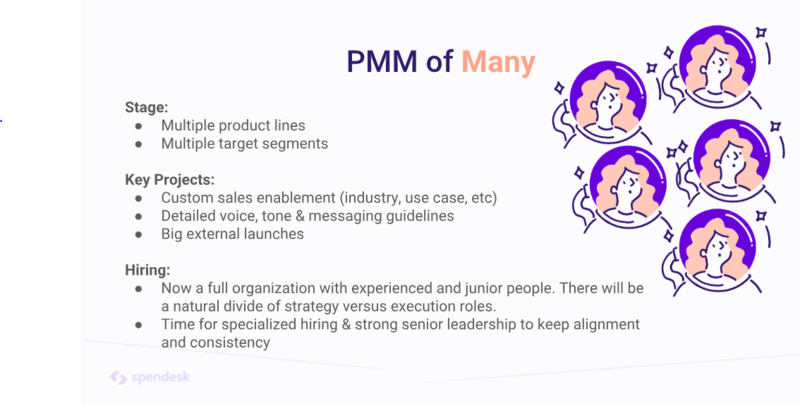 Scaling product marketing: what happens as you hire more people? Once the decision has been made to hire a product marketer, the obvious question is what are they going to do? The goals may be similar whether you have one or ten, but obviously the bandwidth is not even comparable. Your product marketer will likely lead the building and positioning of the website. At the very least, they need to be in charge of the branding and headline - your service in a nutshell. They’ll also need to build or improve your pitch deck to make sure it addresses the right buyer pain points and speaks to the right people. Ideally they’ll have data to inform these decisions. Some of that data will be based on product usage. But a big portion of the product marketers time should be spent talking to clients. They need to know why people buy, what their biggest challenges are, and what your company should be working on to keep helping them. When the team is only one person, this means that a larger slice of their time will be spent on these calls. And the product marketer’s “output” (sales collateral, slide decks, and customer communications) will be broader and more basic. They’ll create the product marketing plan, and will do execute the essentials and quick wins as they’re able to. Which is why it’s always exciting to move from a single product marketer to a product marketing team. One of the big differences here is going from a little sales enablement to dedicated sales enablement. Whatever the sales team needs to sign new clients, the PM team is there to provide. There’s also room for a well-defined product launch strategy. Whereas before this was probably on an ad hoc basis, now it needs to be clear and structured. Product launches are the team’s most visible contribution. They’re the thing that everyone internally and externally sees. And if they get more people using the new product, they directly improve the company bottom line. In other words, a good product launch will make your product marketing team look great. 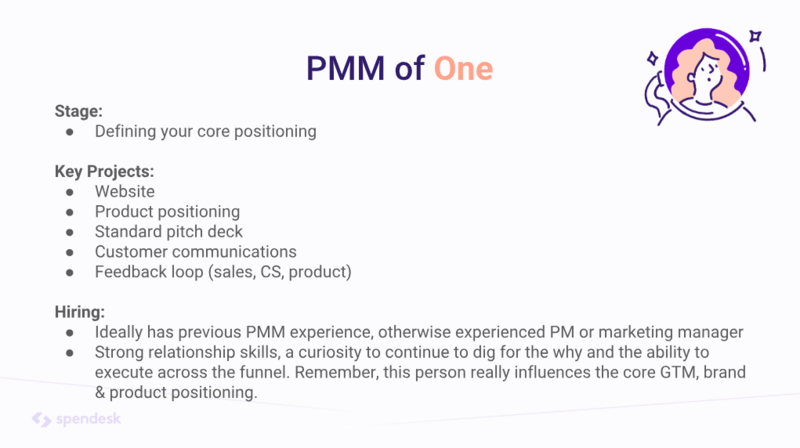 There are other key projects that this growing PM team will take on, including pricing updates (a huge mission) and competitor research. Because these responsibilities are so different, you’re going to look for diverse skillsets during hiring. Ideally candidates will have valuable experience in one of these key challenges, and between them you’ll have all of them covered nicely. You may also choose to invest in one highly-experienced team leader, and then let them shape and train their team as necessary. At this point, the team is still lean. But it’s growing, and it’s time to take product marketing seriously. The first big difference here is that individual product marketers will own certain products. This makes sense - the more diverse your offers, the more they require distinct and tailored communications. You’ll assign one product marketer (or more) to each key product or service. They’ll develop the tone and style around this, create sales material, and handle big product launches and updates. Of course, it’s still a team. PMMs should be able to support each other and work together on especially large projects. 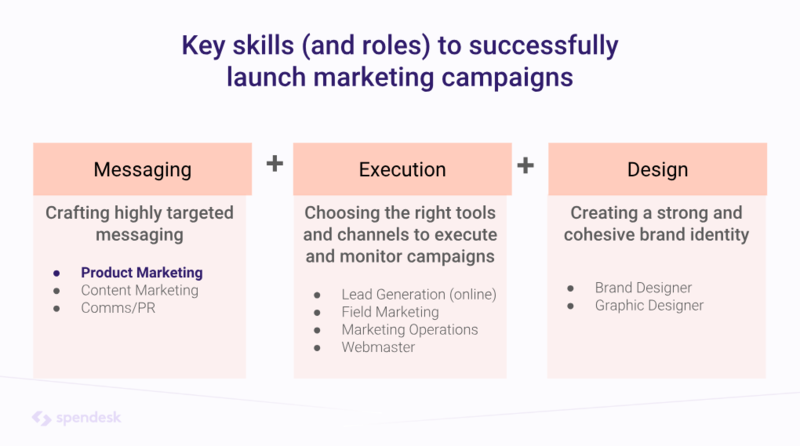 But marketers will also be able to work closer with their respective product development teams, to ensure that the goals and messaging are consistent from the first line of code or piece of fabric. Strong leadership becomes even more important. If team members have their own projects, a manager needs to be on top of these and dealing with roadmaps and team strategy. This person could be the head of marketing or CMO. 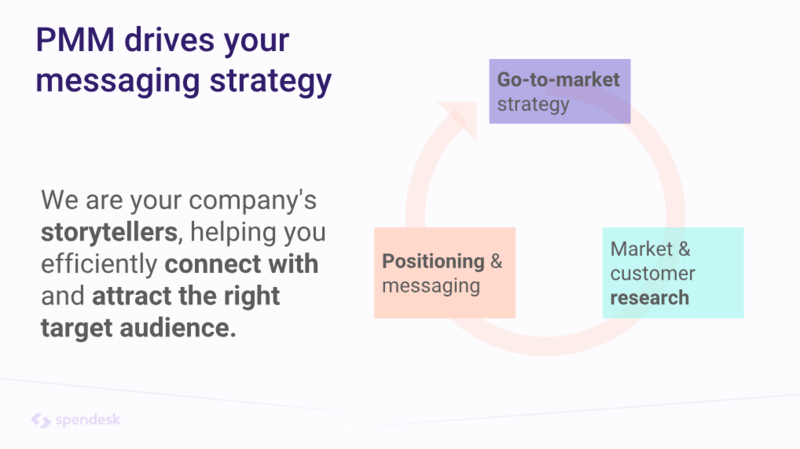 But more realistically, you’ll need a product marketer who understands the challenges and timeframes involved to make sure everyone is on track. Product marketers, more than the rest of your marketing team, flow throughout the company. They help sales, customer success, and product teams. And the more the team grows, the harder this can be to manage. But the good news is that output will increase, and your product lines will have the customer insights and strong launches they deserve. 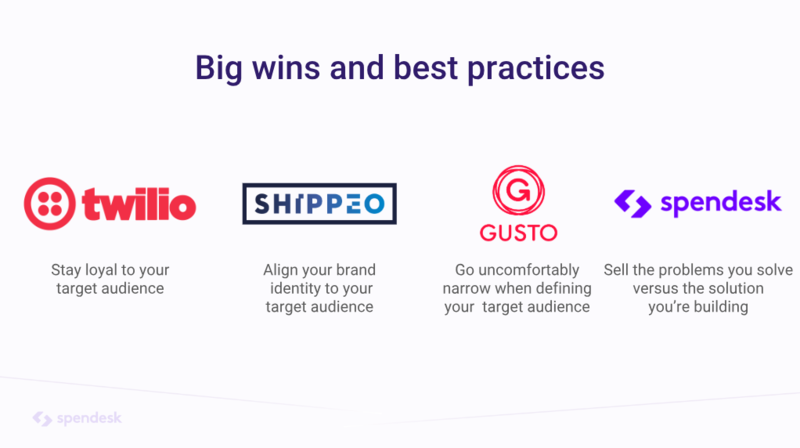 In the cases of Twilio, Shippeo, and Gusto, there’s a very clear focus on the target audience. The best product marketers understand their buyers just as well as salespeople. They know their challenges intimately, and they build clear messaging that addresses these. The hardest part of this is often identifying the target audience in the first place. All three companies invest time and energy to make sure they get this right. 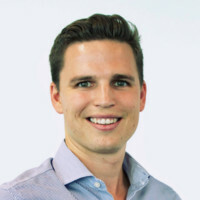 This is an important aspect of Spendesk’s product marketing approach as well. But the main focus is on the problems that the platform solves. Remember, most buyers (especially in B2B) come to your business because they have a problem, not because you have a great product. What defines whether your product is great is almost always whether you solve their problem well. So when building your product message, it’s vital to remember that it’s not really about you. It’s about the buyer and the burden that you’re going to take off their hands. The most important part of investing in product marketing is knowing what you actually want them to achieve. Some product marketers are an extension of the sales team, working hand-in-hand with account executives to make sure they can sell the product. Others are embedded in product teams, helping to shape the product vision and keep the feel and voice consistent. If you’re building or growing your team, you need to know what you want from them eventually. Because product marketers have a never-ending list of possible tasks. Whatever the case, the smoother you can scale up and make product marketing an asset in your business, the better. Have you scaled your product marketing team? Are you getting ready to do so right now? Let us know your challenges, and what you’ve learned along the way.